This is for a bulk lot of 10 starlight black metal Moroccan style birdcage lanterns centerpieces from Shopatusm. 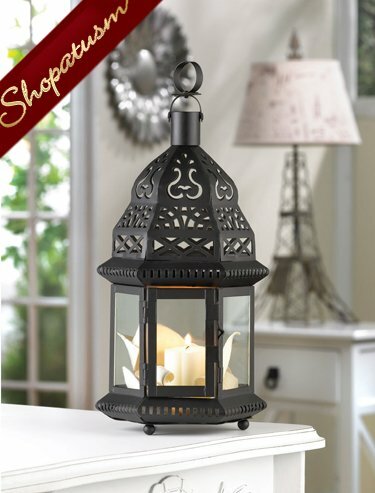 Starlight patterns glow from each cutout of this ornate metalwork candle lantern! Traditional Moroccan styling adds a classic exotic look to any garden setting. Item weight: 1.2 lbs. 6 inch x 5 inch x 12 1/2 inch high. Iron and glass. Candle not included.